Last week I introduced you to a homemade cough syrup that I loved. I found that I needed something that I could carry around, so I did some research and found a lot of recipes for homemade cough drops. I combined a couple of recipes and made these, which I like for a couple of reasons. One, they are cheap to make and two, they are very effective. To be perfectly honest, these cough drops do require a bit of time spent on the making of them. Some tips I would offer are these: use a good pot, use at least a two quart pot, and cool the mixture before making the drops. I'll explain more as I go. Steep tea in boiling water. Remove bags and add honey. Heat until boiling. Using a candy thermometer, cook until the thermometer reaches 300 degrees for one minute. Turn off heat, cool 10 minutes. Add essential oils and stir well. Using a teaspoon, drop small amounts of the mixture onto parchment paper. Cool overnight. Dust with cornstarch. Store in a airtight container. The cooled mixture makes more even sized drops. When the mixture is hot, it runs all over the place! The cornstarch keeps the drops from sticking to each other. While these are kid friendly, they are a grown up taste, especially with the tea and the Thieves oil. If you want your kids to like them, you may consider adding a few drops of vanilla or cherry flavoring. One of these tides me over between doses of cough syrup. Super cheap, eco friendly and natural ingredients! Oh cool! I love the idea of making mine own cough drops, you know exactly what's going in them. Looks like a good recipe, and I love my thieves oil. Good stuff! I will have to make up a match sometime. Thanks for sharing! Wow! Those sound amazingly easy! I'll pin them to try sometime. Love that there is no High Fructose Corn Syrup in these! I will be trying this recipe! Ooh, I never even thought of making my own! And judging by the tickle starting in my throat, the timing couldn't be more perfect. Wow, I never would have thought to make my own cough drops! What a fun, creative idea. Like your previous post, I had never heard of making homemade cough syrup - and so this is right there on this list as well! However, I LOVE it and totally want to try it out. Love the natural vibe of it and the honey and ingredients look perfect! I have really been thinking about getting into oils. I am so glad I came across your post because I am just learning and didn't even have a clue you could make these with oils!! I love this! I never have gone as far as the cough syrup or cough drops, but I might need to try this! I have heard of homemade cough drops, but I never thought making this can be so easy. I need to try this. I didn't even realize that could be done. These sound good and I think they would do the same as a purchased one! Is there a certain brand of tea you use for this? I'd love to make these! Wow! This is really fantastic! Such a fun idea of how making this. You are amazing for doing this! Thank you for sharing your creativity. 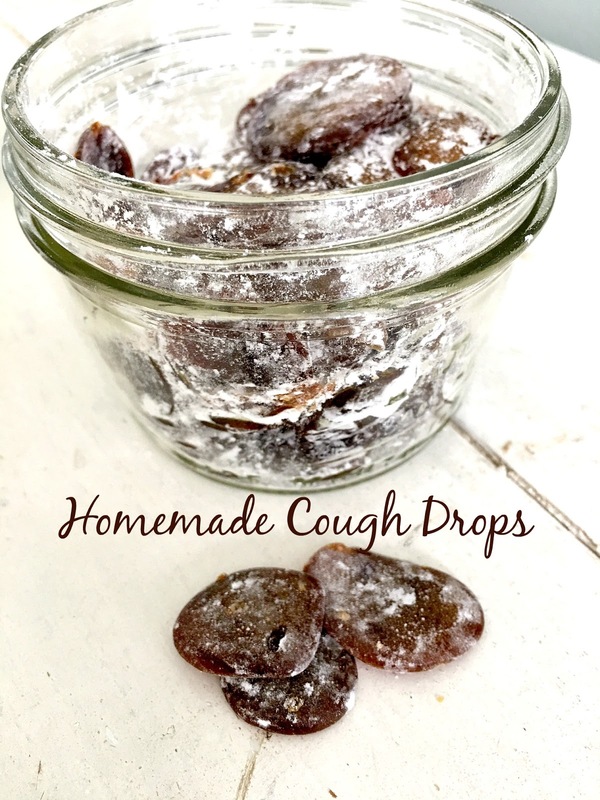 I didn't realize you could make cough drops homemade! What a great idea...I love knowing what goes into my products! What a great idea! Especially with the colder weather coming up I bet there will be a huge need for these! Oooooo I never thought of making my own before. Seems simple enough that I'm going to have to make some! Wow really cool idea, although I will be honest it never occurred to me to create my very own homemade drops. Pretty cool thanks for sharing!! Amazing! 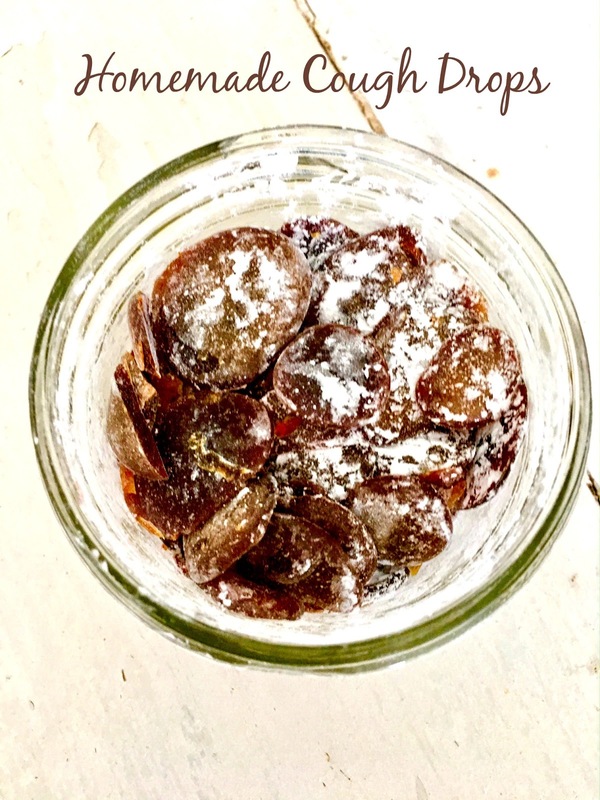 I would have never thought of making my own cough drops! I get a set of essential oils each year and I love them! I've been making so many DIY things with it! I'd love to try making cough drops! I have never heard of homemade cough drops. I don't get coughs very often. But these looks great. I will keep in mind as the weather changes. I often suffer from a sore throat during the cold weather months. I like the idea of being able to control what goes into my cough drops. I pinned this! I'd love to try to make these. My mom is always trying new things like this. I'm sure she'd appreciate it! Ooh this is interesting. Didn't know you could make your own. It would be fun to add flavour for kids to enjoy. Smart! I love this holistic hack in making your own cough drops! I never knew that you could make your own cough drops! I think it is a great way to make sure you are taking something healthy. These sound like they would be very soothing. I never thought to make them myself but I need to try these. I love that you use thieves oil.